New Church Planters need and welcome good training. Therefore, we have 16 sessions of "Basic Training for Church Planters" all filmed and ready for your viewing and reviewing. How do you access these sessions? Simply go to missionohio.e-quip.net. This is where you will find the Basic Training sessions. 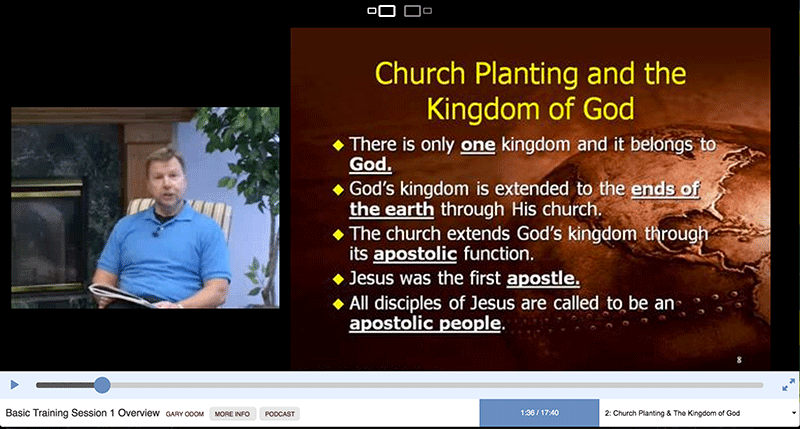 Here is the plan...Hit the link that says "Church Planting" then view the sessions. Each session is LESS than 30 minutes. You will have a workbook or work page to use as you view each session. We ask you to fill in the blanks in your workbook or work page. You will discover that all of the information to be filled in the blanks will appear in Power Points as you need them. These sessions must be viewed during your first three months of receiving funding from the State Convention and the North American Mission Board. The Church Planting Resource Group of the State Convention and your Associational Missionary will have an accountability plan in place to help you.